Eckerd College saw its first literary magazine, Incite, published in 1966. Since that time, almost everything about that publication has changed several times over; from the title to the page size to the editorial tastes, from the funding and scope to the print run, our magazine has led many lives. But one thing has remained constant: students’ commitment to publishing the best literature and art from Eckerd College. If you are curious about the arts at Eckerd College, our annual journal is likely the best place to start exploring our community of writers and artists. As students, we know that the work in our pages represents not just the individual talent at Eckerd but also the collaborative spirit of our artistic endeavors. Workshops and intense discussions late into the morning, the tight bond of artists sharing studio space, and the free critique of colleagues’ work: these are the ideals and characteristics of the Eckerd community. Faculty, alumni, staff, ASPEC and OLLI colleagues all know this. That is why their work also appears in our pages. Once a developing craftsperson encounters the free exchange of ideas that we have grown to value above all else, he or she continues to support and participate in that exchange, often for his or her whole life. As a publication, Eckerd Review always has and always will rely on that intellectual generosity. Please take a moment to get acquainted with Eckerd Review. Explore our site and read through our journal (it’s free!). Bookmark us and stay updated on the latest happenings and editions. 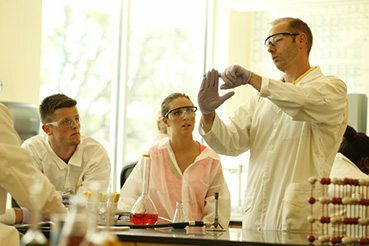 Take a look at our submission policies, and if you are a member of the Eckerd community, please send us your work! 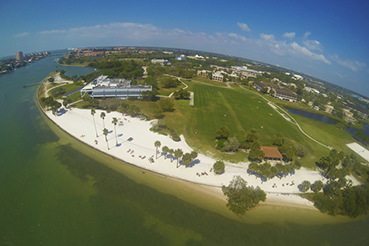 We are proud to be a part of Eckerd Review, and we’re grateful for the support of the Eckerd College community. Thanks for visiting our site. The volume you hold in your hands represents the cumulative effort of 20 talented writers, 13 artists, 13 student editors, one fabulous faculty adviser, and a whole community of support. Eckerd Review strives to publish works that move, challenge, and inspire. In the following pages, you will find art and writing that approach themes of kinship, love, loss, and the spaces in between. Additionally, this issue includes interviews with Ana Menendez, Jon Chopan, and featured artist Jonathan Keeton. The Editorial Board of Eckerd Review would like to thank the vast network of supporters that enable us to produce this annual publication. We thank President Donald Eastman for both his continued support and the submission of his poem. We thank Dean Suzan Harrison, Dean James Annarelli and Associate Dean Kathryn J. Watson, whose endorsements allow us to publish this representative sample of Eckerd’s literary talent every year. Thank you to Lova Patterson and the Eckerd College Organization of Students for the financial aid that sustains this journal; their support has allowed us to cultivate not only an elegant and professional publication, but also provide the opportunity for our editors to attend the Miami Book Fair. Thank you to the Creative Writing Faculty and Emily A. Rideout. Thank you to Jacqueline Holman, Angie Jones, and Advancement for helping make our issue release party a success. Thank you to Professor of Visual Arts Arthur Skinner for his invaluable help in soliciting artwork and coordinating the Reading and Art Party exibit in the Cobb Gallery. This year, the Editorial Board and Staff find ourselves in the incredibly fortunate position of working with Professor Gloria Muñoz, who, as Faculty Adviser, has guided us through the editorial process with a level of focus and creative vision that has kept us both on-track and inspired us throughout the year. We would also like to thank the Genre Editors in Fiction, Creative Nonfiction, Poetry, and Art for their thorough edits and leadership. Additional thanks are due to Alison Lee, Nicholas Danlag, and Katy Williams, the editors who arranged the three interviews contained in this edition of Eckerd Review. Finally, we would like to extend our best wishes to the 2019 Editors-in-Chief, Kate Kobosko and Katy Williams, who we know will lead the Eckerd Review staff with both passion and professionalism. We now invite you, dear reader, to enjoy the following selection of fine prose, poetry, and visual art. We are pleased to present the 2018 edition of Eckerd Review. 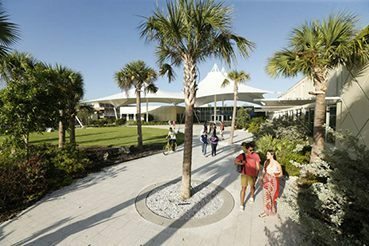 Eckerd Review will accept submissions from Eckerd College students, alumni, trustees, faculty, staff, and ASPEC and OLLI members beginning August 1, 2018, for its 2019 edition. We accept submissions from members of the Eckerd community. That means residential and PEL students, alumni, faculty, staff, trustees, visiting writers and ASPEC and OLLI members are all welcome to send us their work. Although we are a literary journal, we pride ourselves in the diversity of the arts represented in our pages. We welcome fiction, nonfiction, poetry, hybrid writing (comics), critical essays and visual art. We have no specific stylistic preference, but the aesthetic tastes of our staff will change from year to year. We will attempt to make all decisions about publication with aesthetic quality as our primary concern. We ask that you be conscious of length issues. Please submit no more than five poems or three flash fiction/nonfiction pieces. For longer works, please limit the number of submissions to two. No single piece should be longer than about 15 typed, double-spaced pages. Visual art may be in color or black and white but must be submitted as a Google Drive Folder to ecreview@eckerd.edu. The file name should only include the the title of the artwork. We ask that you submit your written work electronically through our Submittable form. Please note that we read work anonymously. While you’ll record your name on this submission form, you must delete your name from each page of your poems, stories, or essays before attaching them to the form through the browser. We will read work only if it’s submitted anonymously. If you have difficulty submitting through our website, send us an email at ecreview@eckerd.edu. We request that you do not submit the same work more than once, unless you’ve been invited to do so. If your work is not accepted, however, we invite you to submit your work in the next yearly cycle. If we publish you once, we’d love to see more of your work in the future! Text should be double-spaced, 12 pt. Times New Roman or other standard font. Each piece should be saved as its own file. We can accept Word documents (.doc or .docx) and text documents (.rtf) only. Visual art may be in JPEG, GIF or TIFF format only. Color coding can be RBG, CMYK or Grayscale. Images should have a resolution of at least 300 dpi at 5 inches wide by 7 inches high (1500 pixels wide by 2100 pixels high). Our printed page is 5×7 inches. You should receive online confirmation once your electronic submission has been processed. If you haven’t heard back from us by the end of January following the submission deadline, however, you are welcome to contact us to make sure we have received and reviewed your submission. We’re not rich so cannot pay, but you will receive contributor’s copies of the journal. If possible, we’ll also throw you a party when the issue comes back from the press. But trust us—we think your stuff is worth a million bucks. By submitting your work to Eckerd Review, you grant us the right to publish your work in print. Once the magazine is published, you retain all rights, and you are welcome to submit your work elsewhere. If you wish to retain first rights to your work, however, you must request via email to ecreview@eckerd.edu, prior to May, that we not publish your work in our online edition.